One of the things that I love about the New Year, is all the energy to make new things, to start new, to to renew one's goals. 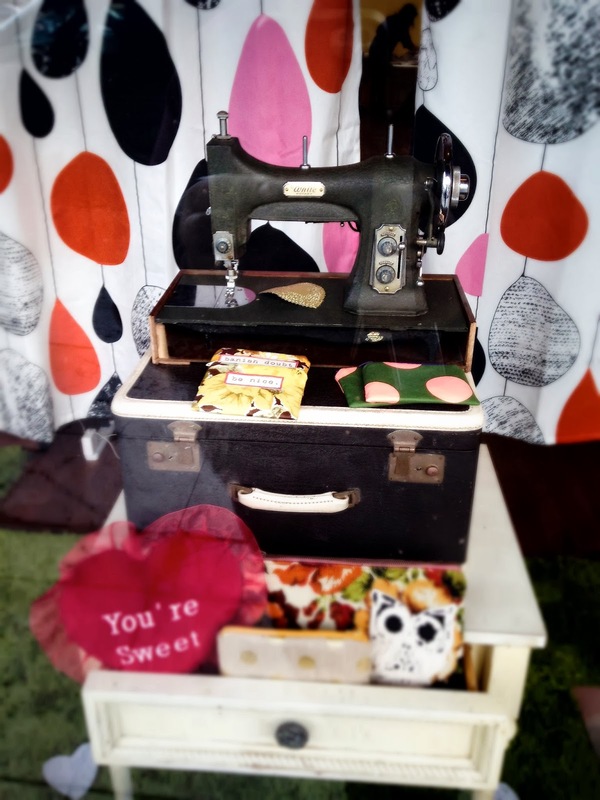 So today, I was running around getting ready for my upcoming The Lost Earring Project and I made a special stop to see fellow crafter, Claudia of Sew Loka Handmade Artisan Collective in Bankers Hills, who's hosting the event. I went to deliver chairs and to touch base on what to expect for tomorrow's workshop. 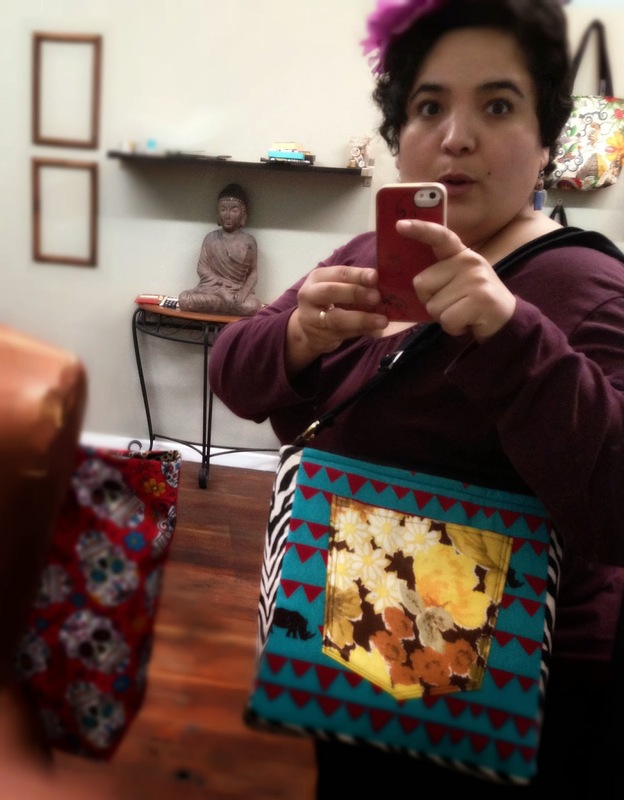 A selfie while checking out the new limited edition bags. So when I arrived, I was in awe of all the upgrades in the shop. There was new paint on the walls, new displays, new merchandise... yes new bags! Woo Hoo, I was in heaven, there were bags everywhere! While I was there, I was able to check out the new limited edition bags. Those bags are well done indeed! They are made with beautiful, Japanese print fabrics and are also sturdy. I was falling in love! Then, lust hit me with a loud bang!!! 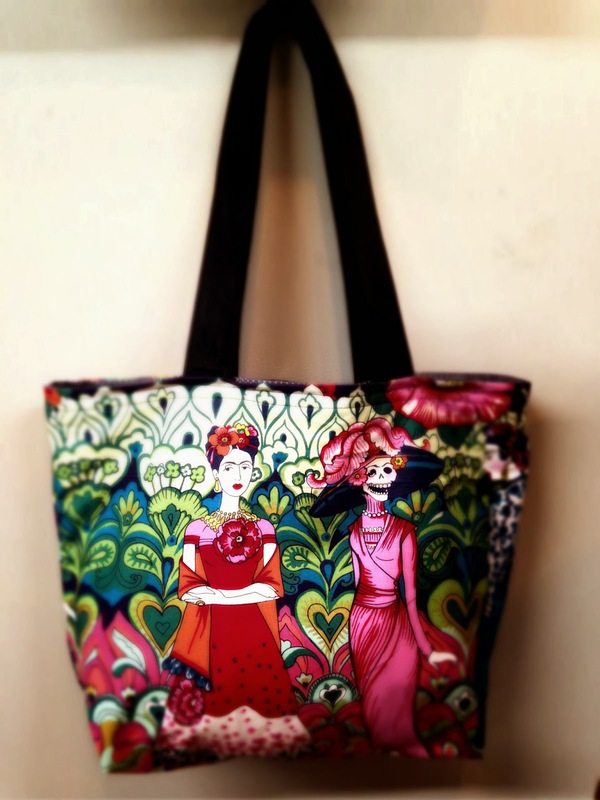 There I stood, gawking at a vibrant Frida Kahlo & La Catrina print bag that took my breath away. I was drooling! The colors are so rich and the pattern full and intricate. I mean, I need this bag... every Winker needs this bag. This bag is going on my wish list and Valentine's Day is still too far away. I need to find another reason to get this bag gifted to me right away. 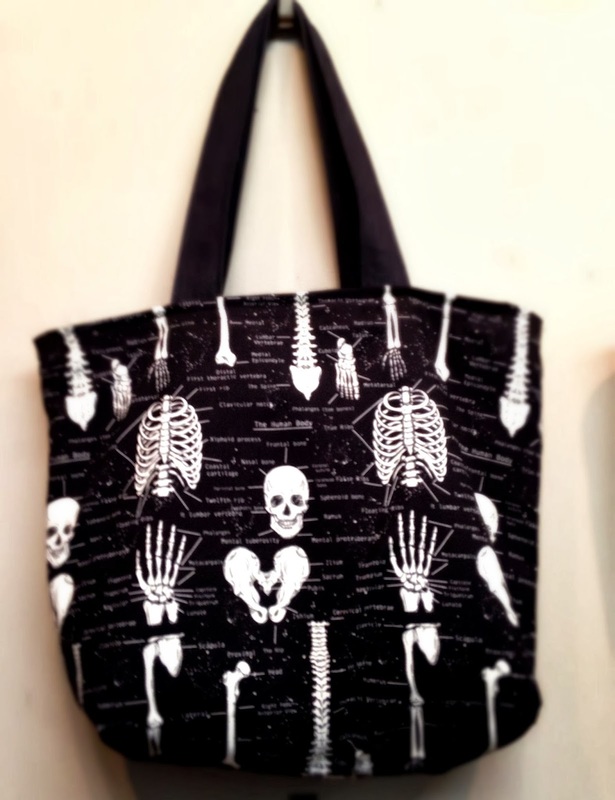 And let me not forget about the glow-in-the-dark skeleton parts bag. How I wished it would be dark enough so I can see in it's full glory. I'll try again, taking a photo tomorrow night. It is always fun to hang out with my friend Claudia and to see her process and then the finished product. I can hardly wait for tomorrow and have lots of fun at The Lost Earring Project. 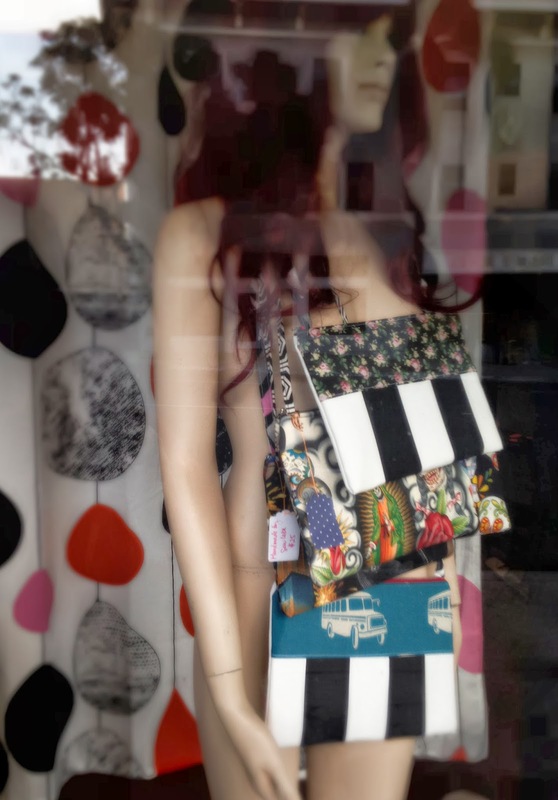 I hope you get to stop by her shop and take home one of her handmade bags, they are totally worth the price. 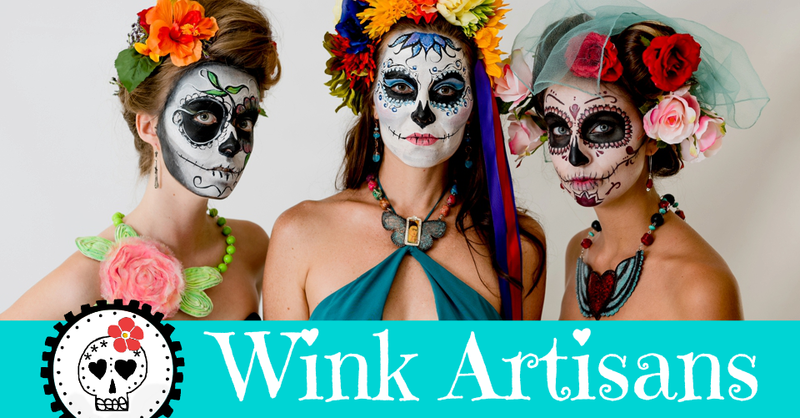 You can check out the goods at www.sewloka.com, Facebook and on Etsy. See you around! FYI: These bags are so new that they may not be listed yet. You may have to contact Claudia directly. When you do, tell her I sent you... who knows, she may hook you up with a good deal.